Got heavy ornaments or loads of necklaces? 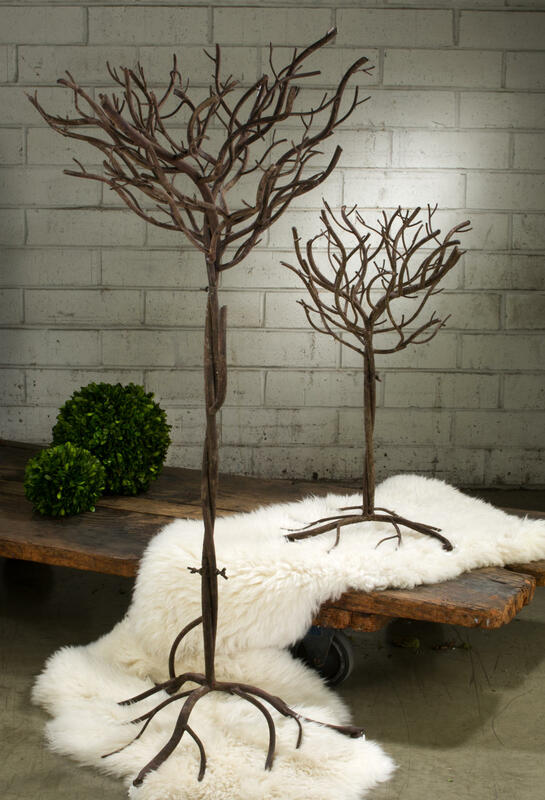 This sturdy metal display tree is the perfect solution! Tree features a textured brown finish and has a unique, natural looking branch design which can accommodate up to 28 ornaments. Can hold even more necklaces and bracelets for a spectacular display, and would even look great with nothing on it as a room focal point! Measures 25" high x 17" in diameter. A solid tree for your most precious items!